Making money on surveys can be an easy way to make some extra cash. But not all countries have the same opportunities for doing paid surveys or making money on GPT sites (get-paid-to). If you live in the USA, there are MANY opportunities. Not all sites are however worth it. 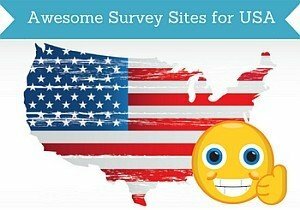 In this article, I will, therefore, show you the best paid survey sites for USA in 2019. These sites are all legit and great to join if you would like to make money by answering surveys and doing other small tasks online. If you do not live in America, you can instead check out my top recommended sites for other countries. Disclosure: This article contains affiliate/sponsored links. Click for more info. How are the opportunities for paid surveys in the USA? As shortly mentioned above, the opportunities for doing paid surveys are very good in the US. There are many amazing American paid survey sites, and there are not only great opportunities to earn by taking surveys, but also in general for joining GPT (get-paid-to sites). GPT sites often include paid surveys, but also have other ways to make some extra money online. Survey sites mostly have surveys, and are focused on this. Both kinds of sites can be great to join and a great way to make some extra money, depending on your preferences. The USA is one of the countries with the absolute biggest amounts of offers in this area. This is because there are a lot of big companies in the USA, and these are willing to spend a lot of money on market research to improve their services, and they are willing to pay you to participate in this. That there are many opportunities does however not mean that they are all worth joining. There are unfortunately also plenty of sites that are scams and will cost you money instead of making you money, and some sites are just a waste of time. But luckily there are also many great sites. Below you can see a list of the best legit sites with great opportunities. The list below is not a complete list of all the American paid survey sites that are available. Such a list would probably be more or less impossible to make, as there are so many, and new sites are created all the time as well. A complete list is also too overwhelming, and if you join too many sites at the same time, there is also a great chance that you will not have time to really get to know and take full advantage of the opportunities on each site. The list below is instead a selected list of the sites with the best opportunities to give you a quality list instead of a list that is as long as possible. It is a good idea to join several sites to increase your opportunities. Just not so many that it will become a distraction. If you have not done paid surveys a lot before, I would recommend joining 5-8 sites for a start. That will give you a good amount of opportunities and at the same time a chance to get to know them before joining more. SwagBucks is one of the biggest GPT sites in the world and has more than 20 million users. It is called a GPT site, because it does not only offer paid surveys, but also a number of other ways to earn. You can, for example, get paid to watch videos, to surf, playing games, taking online offers, get cash back for shopping online, get a daily activity bonus, and it offers a $5 joining bonus if you join through the invitation link below. Some methods will not earn you a lot, but especially surveys, online offers, and getting cash back on online shopping can give some great extra money. SwagBucks is not available everywhere, but the USA is one of the countries where you can join, and it has really good opportunities here. You can get paid through PayPal or choose from a large variety of gift cards. PrizeRebel is another GPT site with a lot of different ways to earn. You can join no matter where in the world you live, but the amounts of offers vary from country to country. The USA is, however, one of the countries where PrizeRebel has the most opportunities. You can earn by doing surveys, taking online offers, inviting friends, get paid to play games, do tasks through Figure Eight, get a daily challenge bonus, participate in free contests and get promo codes with free point once in a while. There are also different membership levels, so the more active you are, the more bonuses and advantages you will get. You can get paid through PayPal or choose between many gift cards, and the payout processing is very fast. PointClub is a great survey site for the USA. It has a decent amount of surveys, and it is very easy to use. It even has a very modern and fun design compared to many other survey sites. You can only earn by taking surveys, but the ones you get paid well in relation to the time spent – especially if you often log in to the site. The more days in a row you log in, the higher rewards you get. You can get up to 100% bonus, so definitely worth checking in every day. The payout threshold is a bit higher than on some other sites, but you also get a $5 joining bonus. You can get paid in cash through PayPal, or choose between more than 80 gift cards that are all relevant and available in the US. Toluna Influencers has a specific survey panel for the USA, as well as a specific American blog, where they post special offers and opportunities, as it sometimes for example runs contests. The main way to earn on the site is by taking surveys, and it has a decent amount in the US. You can also earn by participating actively in the community and interact with other members, but it is not a lot you can earn, so you should only do it, if you enjoy it, and not solely to earn. Toluna has many great rewards, and you can, for example, get paid through PayPal and gift cards. It can be a bit slow at processing the rewards compared to other survey sites, but it always pays out, even though it can take a while. YouGov is a very interesting survey panel. It has specific panels for many countries, and it also has a US survey panel. You can only earn by taking surveys, but there are often new surveys. The surveys are about important and relevant topics, and they pay well in relation to the time spent. One thing that is really cool about YouGov is that you can get to see the results of the surveys they conduct. On the website (or in their newsletter, if you subscribe to that) you will be able to see the results and see in which media the results have been used. There are not many survey sites where this is possible, and it is great to be able to see the results and see how your opinion is a part of affecting the agenda and stories in the media. You earn points every time you take a survey, and these points can be exchanged into a variety of gift cards, prepaid VISA, products, and more. PineCone Research is one of the highest paying survey sites. You get a minimum of $3 per survey, and as soon as you have completed the initial welcome survey, you will get your first payout. It is an exclusive survey panel, as you cannot join on the website itself, but only through an invitation link. Luckily you can find such an invitation for the USA through the join button below. PineCone Research does not have as many surveys as some other sites, but as already mentioned, the ones you will get paid well for your time. Definitely a site you should join, if you live in the USA, but you should make sure to also join other sites, as PineCone alone will not give you very many opportunities. The payout threshold is only $1, so you can get paid every time you have taken a survey if you want, or you can accumulate until you have more. You can get paid through PayPal, check, gift cards, products, or prepaid VISA. Be aware that PineCone only allows a limited number of new members each month. So if you click the link below and cannot join, it is likely because the panel is not accepting more members this month. Then come back at the beginning of next month – then there should be more spaces available. Nielsen Computer & Mobile Panel is different from most other panels on this list. Once you have joined the panel, you do not have to do anything else to give feedback. You will install an app/software on your device, and this will give the panel info about your internet use. You will stay anonymous, and the research will be used to improve online services and products. Nielsen has a specific panel for the USA, and it can be a great way to help shape the internet of the future, while earning a small reward for it, as you do not have to do anything else than just use the internet as you always do. Nielsen has monthly prizes for $10,000 in the US, they give out to its members, so if you are lucky, you can win some really good rewards. Opinion Outpost is a US Survey site that is very easy to use. Once you sign up, you just wait for the email survey invitations. It will not give you a huge amount of surveys, but it will give you enough to earn some nice extra rewards. In addition to earning on the site, you will also be able to participate in a quarterly prize draw with a prize of $10,000. The day-to-day earning you can get out through PayPal or gift cards. If you want to get paid in Amazon gift cards, you can get paid once you have earned just $5. If you want to use PayPal, you have to wait until you have earned $10. ClixSense is mostly a survey site, but it also has some other ways to earn. It is available worldwide and gives pretty good opportunities in most of the world, including USA. It has a good amount of different survey opportunities, a great daily activity bonus, you can do Figure Eight tasks and get some good bonuses like this as well, and it has a large amount of wall offers you can earn from. It is fairly simple to use, and in the US it has many payout methods you can choose from. They are Payoneer, Skrill, Payza, Tango Card, Dwolla, or check. Survey Junkie is another easy-to-use survey site. It is only available in a few countries and one of the countries it has the most opportunities in is the USA. You can mainly earn by taking surveys, but at times you can also get access to high paying focus group interviews, phone interviews, or product testing. It is only a site for you if you want to get paid in cash through PayPal, as this is the only payout method. You can get paid once you have earned $10. PaidViewpoint is a pure survey site, and that is the only way you can earn on this site. It does, however, have something unique for a survey site, and that is why it is on this list. If you have done paid surveys before, you will know that often there are surveys you do not qualify for. That is just a part of taking surveys. That is however not the case for PaidViewpoint. Here you will never be offered a survey that you will not be able to complete, and the surveys are very short and fast compared to many survey sites. It will not give you as many survey opportunities as the other sites on this list, but you know that you will for sure be able to complete the ones you are offered. The USA is one of the countries where PadiViewpoint has the most surveys, and you can get paid through PayPal. Superpay.me is a site you can join no matter where you live, and if you live in the US, it has some really good opportunities. It is mostly a survey site, and it has many daily opportunities. But you can also earn by clicking ads, taking offers, watching videos, participate in their free contests, and more. At first, Superpay.me can be a bit confusing to use, and it takes a little time to figure out how to get the most out of it, but once you do, it can give some great opportunities. What is great about this site is the very low payout threshold, so you can get paid already when you have made $1, and it offers payout through PayPal, Skrill, and Bitcoin. Surveytime is an extremely simple survey site and it has a good amount of paid online surveys in the USA. Once you sign up, you have to make sure to take the initial survey profiler, and after this, you will get access to a list of available surveys. 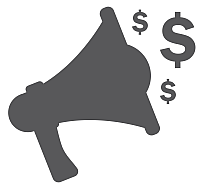 What makes Surveytime different from many other sites is that it gives $1 for all surveys. So sometimes you can earn $1 with just a very short survey. It has great payout methods and every time you have completed a survey, you will choose your payout method and will get paid instantly. GrabPoints is a get-paid-to site with quite high rewards. In the USA it gives you really good opportunities to earn. You can for example earn by taking surveys, taking offers, download apps, watch videos, and more. At times it takes a bit of patience to find the surveys you qualify for, but with the size of the rewards, it is worth the patience. GrabPoints has many great rewards for the USA – you can get paid through PayPal already when you have earned $3, or get paid through Skrill or gift cards. If you join through the invitation link below, you get 500 points for free right away. FeaturePoints has quite a lot of ways to earn and in the USA, you can find some of the best earning opportunities. You can earn by taking surveys, watching videos, get cash back when shopping online, and by downloading apps. You can get paid already when you have earned $1 and can get paid through PayPal or gift cards. If you join through the link below, you will automatically get a referral code for the US that will give you 50 free points. SurveyRewardz is very easy to use and is a survey site with a good amount of opportunities in the USA. You can only earn by taking surveys, but there are usually several daily opportunities. If you do not qualify for a survey, the panel will scan to find another survey that is available for you instead. Sometimes it can take a bit of time for it to find surveys you will be able to complete, but it is a great function that it keeps scanning, as this makes it easy to find survey opportunities. You earn points when you take surveys on SurveyRewardz, and these can be exchanged into rewards. There are some great rewards, as you can get paid through PayPal, Amazon, virtual VISA, check, and other gift cards, and you can request a payout already when you have earned $1. Vindale Research has existed for many years, and it offers a good amount of earning opportunities in the USA. You can earn by taking surveys, watch videos, invite friends, and more. The biggest disadvantage of Vindale is the high payout threshold, as you have to earn $50 before you can get paid. However, it also at times offers very high paying surveys compared to other sites, and if you are fast and get in on these, it can make you some nice money. The site is overall easy to use, and you can get paid through PayPal or check. InboxDollars is as the name suggest an American GPT site. It offers you several ways to earn – you can take surveys, take offers, search online, shop online, play games, read emails, and more. It is definitely a site with a lot of opportunities and it is fairly easy to use. It does, however, take a while to get to the payout threshold, as it is $30, which is very high compared to other sites. Furthermore, the panel charges a processing fee of $3 for each payout. But it does offer many daily opportunities, you get a $5 joining bonus which is a great start, and it offers some good payout methods, so it is definitely still a site worth considering to join. LifePoints Panel is one of the newest survey panels in the US. The two panels called MySurvey and GlobalTestMarket merged at the beginning of 2019 and became LifePoints. Since it is still very new there might be some small glitches but overall it is easy to use and is very similar to the two sites that merged to become LifePoints if you have been a member of any of those. This means once you have signed up, you will receive email invitations for available surveys. Not a huge amount but still decent. As an extra survey site, LifePoints can be worth testing in the US but as it is still new it is difficult to say exactly how good the opportunities are there. The payout threshold starts at around $10 for a few rewards but most start at $15. There is a huge catalog you can choose rewards from including PayPal, gift cards, and products. InstaGC has many ways to earn and is a pretty user-friendly site. You can join no matter where you live, but the USA is one of the countries where it has the most opportunties. You can earn by taking surveys, downloading apps, surfing the internet, watch videos, by signing up for trials, do Figure Eight tasks, and it has a great weekly bonus if you are active. It also has something I have not seen on other sites – you can bet on sports result and win some nice prizes like this. You can bet on NBA, NFL, NHL and more. You can get paid through PayPal as soon as you have earned $1, which means you can get a payout very quickly. You can also choose gift cards or get paid by bitcoin. EarningStation is solely an American reward site and is only open to join if you live here. It is an easy-to-use site with a reputable company behind it. It gives a good amount of opportunities, and you can earn by taking surveys, take offers, watch videos, get coupons, and by inviting friends to join. It is user-friendly and has good support, so definitely a site worth considering, if you live in the US. It has many different ways you can get paid. You can get paid through PayPal, Virtual Visa, Amazon e-certificates, and gift cards to many different companies/services. You can request a payout when you have earned $10. Gift Hunter Club gives you several ways to earn in the US, and it especially has good opportunities for Hispanic people, but as long as you live in the USA, you will find good opportunities here. You can earn by taking surveys, do micro-tasks through Figure Eight, take offers, get daily bonuses, and more. It has a low payout threshold, as you can get paid already when you have earned $5, and you can get paid through PayPal, Amazon gift cards, or several other gift cards. Viewfruit is another survey panel that has panels in many countries, and it also has its own US survey panel. It only offers paid surveys as a way to earn. The site is easy to use, and you will find quite a lot of surveys here. Be aware that there will likely be many you do not qualify for, so it can take patience to find the ones you can complete. But you also get a small reward for the surveys, you do not qualify for. Viewfruit only offers one payout method, which is PayPal, and you can get your money out as soon as you have earned $5. Mobrog is a very easy-to-use survey panel with a specific US panel. Once you have signed up, you do not have to do anything else than wait for survey invitations via email. It offers quite a good amount of paid surveys. You just have to be aware that you will likely often not qualify so sometimes it can take a bit of patience to find the surveys you qualify for on Mobrog. But as it is so easy to use, it can definitely still be worth checking out. The payout threshold is fairly low as you can get paid already when you have earned $6.25. You can get your earnings out through PayPal or Skrill. Online Panel NET is available worldwide, and it has a decent amount of opportunities for the USA. You can earn by taking surveys, do micro tasks through Figure Eight, download apps, and more. Many of the offers it has can also be taken on other sites on this list that pay better for your time spent. But it is a legit site, and as an extra site, it can be worth considering. The only payout methods Online Panel NET offers is PayPal, and you can get paid when you have earned $10. Harris Poll Online is a fairly big survey panel, and it is only available in a few countries – the US is one of them, so you can join and participate, if you live here. You can only earn by taking surveys, but it offers a decent amount. It can take a little patience to find the surveys you qualify for on Harris Poll, but with a little patience, it is still a great way to earn some extra money. Just make sure to also join other sites, as this site alone will not give you enough opportunities. You can get paid through Amazon gift cards, or choose between many other gift cards, so even though it at the moment does not offer payout in cash, it still has some really great reward options. Panel Station is a bit different from the other sites on this list, as it is mostly an app. So if you like taking surveys on you mobile, this might be a good option for you. It has a specific survey panel for the USA, and you can expect 1-3 surveys per week, so you should also join other panels if you want more earning chances. Panel Station has a low payout threshold, as you can get paid when you have earned $5, and you can get paid through PayPal or a number of gift cards. Cinchbucks is available worldwide, but in the USA it has some of the most opportunities. At first it can be a bit confusing, but after a while you will be able to find several ways to earn there. You can earn by taking surveys, take offers, watch videos, invite friends, and find coupons. Not all the paid offers are worth it, so make sure to read the conditions. But the other options gives decent opportunities to earn. You can get a payout once you have earned $10, and get paid through PayPal, Bitcoin, or gift cards. Cointiply is a bit different from the other sites on this list. It is a get-paid-to site with a lot of ways to earn in the US, but it is only relevant for you if you want to get paid in cryptocurrencies. You can earn by taking surveys, use a Bitcoin faucet, clicks ads, use a multiplier game, play online games, watch videos, take offers, and more. So if you would like to get paid in Bitcoin or other cryptocurrencies, this is a good option. The payout threshold starts at $3.50 but depends on the cryptocurrency you choose. MobileXpression is similar to Nielsen, which is also on this list. Once you join, you do not have to do anything else. The panel is doing research about how people are using the internet on mobile phones, so all you have to do is to have an app installed on your phone. Then you will automatically earn rewards, so it is very easy to participate. The panel is only recruiting in select countries, and the USA is one of them, so if you want a bot of passive earning while helping to improve the internet, this is a great option. By having the app installed you will earn points that can be exchanged into Amazon e-certificates, or many other gift cards. MobileXpression also has weekly giveaways as extra rewards. Triaba is a very simple survey site, and it has a specific US survey panel. The only thing you have to do is to sign up, and then you will receive email invitation via email. It will however not give you many opportunities compared to many other sites on this list, so you should definitely makes sure also to join other sites, if you join Triaba. It is however very easy to use, and you can get paid through PayPal or gift cards when you have earned $7. This can however take a bit of time to reach because of the limited survey opportunities the site offers. AdSitalSolution is not the site with the most opportunities, but it can still give you a bit of extra earnings in the US. You should just not join it as the only site as this will give you too few opportunities. You can earn by taking online surveys, watch videos, click ads, and by taking offers. In the USA, the only way you can get paid is through PayPal. The payout threshold is only $5 which is a nice low threshold. There you have it – a list of the best paid survey sites, if you live in the USA. All of these sites are legit and give good earning opportunities. Just remember that doing paid surveys or joining GPT sites will not make you rich. It can however make you some nice extra money on the side without any risks – especially in the US, as there are many opportunities here, and some really great sites you can join. The list above is regularly updated, so make sure to bookmark it and come back, and check it for new opportunities regularly. If you have any questions, comments or have any experiences with any sites you think belong on this list as well, I would love to hear from you in a comment below. Hi Mikael, is it just me or what? I have only qualified for ONE survey on Surveytime so far! 🙁 I know you say quite often that this happens but I was on Surveytime going through at least 8 of the surveys they came up for me in their “Algorithm” Yet, I still cant qualify. how many do I need to try on that site to qualify? I am doing the surveys on other sites, but surveytime pays at least $1! Should I just be more persistent? There is no exact answer for how many you need to try to qualify. But 1 out of 8 is definitely not a lot and must be frustrating. I think on average I qualify for around 50% of the surveys on Surveytime. But it is different from person to person, country to country, and also from time to time. Sometimes I find that there can be many in a row I qualify for and other times I will experience what you are experiencing. So difficult to give an exact answer. Sorry I cannot say more. What are your thoughts on Opinion Square? InboxDollars is offering $4 to join but I can’t find much on it. Thank you! Have not tested Opinion Square myself yet so cannot say much about it. But I just had a quick look and from that, it looks like a legit site. But I will write it on my list of sites to test further so I can write a full review about. Hi again Mikael, I clicked on your link again after I created my GrabPoints account and something STRANGE happened! I was taken to a site called ZoomBucks! Are they legit or are they trying to use your links to phish people away from GrabPoints? I hope you will look into this and also do a review on this ZoomBucks site. Thank you. Thank you very much again Jim. I really appreciate you telling me this. I had no idea that happened. I am actually reviewing ZoomBucks right now and will post a review of it later this week. It is owned by the same company so that might be why they redirect you there. But they should not use my link for this without me knowing this – especially since ZoomBucks is a site I, as with what it is offering now, will not recommend. So I will look into this right away and try to see what is going on. Thanks for letting me know Darlene. Thank you for the info. I joined some survey sites and was really scammed by Panda research. Sorry to hear that Nicholas. I have heard several people having bad experiences with Panda Research. That is also why it is not on the list of the best US sites. just a comment about survey junkie – its a very good website. I have not had any problems and yes you can cash out at 10.00. They have very good surveys. Also if there are any football fans nfl has a website called nfl fan huddle http://www.nflfanhuddle.com. I also do surveys through them. Its a legit website am very careful when it comes to finding good survey websites. I hope you didnt mind sending these your way. Thanks for sharing your experiences. Great to hear you like Survey Junkie. I have not heard about the NFL site before. That looks really cool. Thanks for the tip. I will definitely look into that. We recently launched our own platform and I thought I might want to add it to your list. It is a good one, too. – easy registration through a mobile app. Thanks for the suggestion Zhivko. I will check it out and test it. As far as I am aware, Valued Opinions does not recruit members in the US anymore – that is why it is not on the list. But instead, the same company owns and runs Opinion Outpost which is on the list. Hope this answers your question? If you live in the US, I have been told that Valued Opinions is not taking members there. The same company does, however, own Opinion Outpost so I would instead suggest you to try out that site. Just wanted to throw this one out there as well, cashKarma. I’ve had the app for a month and I wasn’t really active on it, well I thought, but it was quick and easy and straight through to PayPal, which PP collected a fee of 1.95 for a 50 payment and took 2 days, it came on a Saturday. I just wonder if I was really engaged in it how much I could’ve earned. It will just be a little while before I get to look further into it, as I have quite a lot of other sites to test before. Please can you do a review about Rewards1 as well. It is one of the best survey sites i have used so far. Thanks for the suggestion Cindy. I will write it on the lists of sites I need to test. Thank you so much for the info. But I found it difficult registering in some sites, can you help do that? Any particular sites you are having problems with Dickson? And what kind of error are you getting? Then I will do my best to answer. Have just resent all the emails from the course manually James. Let me know if you have received them. its me darlene, well, great list. I have had good luck with most of them – I love grabpoints. Anyways, want to ask you something on a different note – have you had any experience with Focus group survey sites? I have a few I was gonna check out. If you have, let me know and I will give you the ones I was gonna check out. Thanks again. And still no luck with mysurvey, im puzzled. Glad to hear you have had good luck with most of the sites on the list. I have tried a few focus groups through some survey sites. Not many but a few, so you are welcome to send me the name of the ones you consider checking out. It might also be something for me to look more into so would be great with a few suggestions. I’m hoping you may have some kind of tips ANY kind of tips for me. I live in what I like to joke around by saying that we live in a tiny town of two (lol). In all seriousness though I live in a small town, a rural area I guess you could say. I find more times than not that as soon as I get to where you enter your zip code, I’m automatically do not qualify!?! Do you know of any sites that you would/could recommend I try that doesn’t discriminate based on what the population in your town is? I’m sorry to bother you with something that sounds so CrAzY, I’m just at a loss, and I figured if anyone may know which direction to point me in, it would be you. Thanks for doing what you do, I for one greatly appreciate your time and effort you put into it. First of all thank you very much for your kind feedback. Glad to hear you like the info here. Have you tested all the sites on this list above to see if any of them give you better opportunities? Because these are some of the best in the US. In addition to the ones on the list, you can also try Superpay.me, which also usually has many opportunities in the US. You will however on most survey sites not qualify for all the surveys (except for Paidviewpoint, where you will not be offered a survey you do not qualify for). And sometimes they are looking for people in certain areas. But if you live closer to a big city, you could also try to write the zip code of this to see if that helps. But first of all, I would recommend you to check all the sites on the list above, as some of them definitely should give you some opportunities. Hope this helps and let me know, if you have any more questions. I cannot complete the registration. I don’t know what the reason is? Which of the survey sites are you referring to Ahmed? Thank you for your information. You have given great information about possibly getting paid for surveys. How do you stop them from calling you? I simply want to get paid for my opinions. I do not want 1000 e-mails and calls a day. I am so new to this. I did this once before, never got paid, all I got were so many calls and e-mails. I just really need some extra money as I lost my job a few months back. Can you give me any other advise on the scammer companies and the better sites, and what and what not to do? Also, I am afraid to put personal information in. I do have a PayPal account which is a safer account. Who would give their checking account number or real birth date. I do not give my real birth date either. I also have set up a yahoo account just for this. I am an honest woman, but I do not want to be scammed. They gather up all your info and then the scammers will have it all. I just would like to get paid for my honest opinions. Any more advice you can share with me. I am not looking to make a million dollars, but a small amount helps buy bread, milk, peanut butter, gas for my car. Everyone can understand what I am saying right? a little extra money. I will continue to read more on this site. It has been helpful. What are the worse ones to stay away from? Some sites keep going on and on with questions promising you 50 bucks at the end. I have not gotten a penny. They are robbing you of the info, and then they do not pay. This is so wrong. I waste 25 minutes doing the survey and then nothing – they just cut me off. Then within 5 minutes I am getting calls and texts and emails – shouldn’t this be illegal? False advertisement. I am afraid to even give my PayPal number, which I have not yet, but I may open a separate one. Some places say they will send a check, but i don’t believe that. What do you think are my best options for making a couple of hundred dollars a month? Thank you for sharing your information. And thank you to everyone for sharing their voices. Sorry to hear you have had bad experiences with survey sites in the past. Sounds like you have been unlucky to join some of the poor sites/scam sites. Luckily there are also many great sites that do not sell your info and that pays out without any problems. In general, few legit survey sites will ask for your phone number. There are a few where you need to do this to confirm that you are a real person, but usually you will not be asked to do this until after you have joined and can see for yourself that it is a legit site. So if a survey site is asking for your phone number during registration, you should do a bit of research about it before joining. There are however many survey sites that has what is called paid offers or offer walls. Sometimes you can be asked for your phone number to complete one of these offers, and if you take one of these, it will most likely be because they will call you. These offers are legit, if you take them on one of the legit survey sites, and you should be able to see this in the conditions for each offer, if they will call you – it might not be easy to find, but it should be there, and it is a good idea to check out the conditions before taking any of these offers from the offer walls. They can sometimes give you some really nice earnings as they often have high rewards, so they can be worth looking into – you just have to make sure to check the conditions, so you do not end up taking offers where you will be called, if you do not want this. As for the best options to take paid surveys, I would suggest you to join the sites on this list, if you live in the US. All of the sites on this list are legit sites, and you can make some nice extra money on the side by joining these. Be aware that no matter what survey sites you join, you will sometimes not qualify for surveys. And sometimes it happens a lot. But after a while, you will be able to figure out what kind of surveys you most often qualify for, and then not waste too much time on the ones where you end up not qualifying after already having spent more than 5 minutes on them. There are some signs about which survey sites to stay away from. I have made an article about surveys scams, where you can read what to be aware of before joining a survey site. But as mentioned, the sites on my list of the recommended sites for the US are all legit. So for a start I would recommend you to choose 4-6 of these and join them. Joining more can be confusing and better to join this amount, and then you can always join more later, once you have become familiar with how a few of them work, and how you use the options there. Hope this helps, and feel free to ask, if you have any more questions. don’t worry too much. I’ve got a lot of survey sites to pay me and there are some tips and won’t sell your information. You are very right Lilie – there definitely are many survey sites that will not sell your info, and if you join the legit ones, there is nothing to worry about. There are unfortunately some scam sites, but also many great sites where it possible to make some extra nice money. So my question is can I from India can complete his surveys on behalf of him through remote access?? Officially you are only allowed to use your own account on most survey sites and if they find out you do they will see it as fraud and ban your account. Many sites also do not allow you to log in from a different country than where you registered. If you do, they might ban the account. But some sites do allow you to log in from other countries. It depends on the site so you would have to check the terms for the particular sites. In general, the best is, however, to join the best sites in your own country with your own account. Thank you for the info. I joined some survey sites and was really scammed by Panda research. Have you ever checked them? I did several surveys and had $240 in my account but it is impossible to get paid by them. sorry to hear about your experience with Panda Research. I have not tested that site yet, but sounds like a site I should test and make a review of soon. Good to know that it is a site to be careful about. Hope you will enjoy the sites on this list more. They will definitely pay you without any problems. I am already with clixsense and a few others but I am looking to expand. I was not sure where to find reputable ones so this list helps a lot. The more the merrier since the payout is task based. Thanks for the suggestions. I will join the rest later today. I am sharing your post in some FB online work from home groups now. Great to hear you find the info useful Crystal. And thanks for sharing the article – I appreciate that. Thanks for sharing your experiences DorcasW. If you live in a country where there are not many surveys available, you can try to look more into the options on the sites that offers other ways to make some extra money as well. For example ClixSense that has the CrowdFlower tasks or TimeBucks that has a range of ways that are available no matter where you live. I recently joined an online survey site, but it didn’t hold my attention for long. After reading your article on the top site, I am reconsidering starting up again. My intention was to make some extra money, but I didn’t qualify for a lot of the surveys on the site. After spending several minutes filling out the questionnaire just to learn you don’t qualify was discouraging. I joined Survey Junkie, what do you think of their site? I do not know too much about Survey Junkie yet. It is one of the sites I have not tested yet, but will write it on the list of sites to look into. There will however almost on any survey site be surveys you do not qualify for. On some there are a lot more you qualify for than on others. After doing surveys for a while, you will however be able to figure out which kinds of surveys you most often qualify and then just spend your time on trying those. The only site that I know where you will always qualify for the surveys you are offered is PaidViewpoint. That is great, and it is great site to join, if you live in the US, but it does not offer as many opportunities as many other sites. So it can definitely be worth joining some of the other sites as well and be a bit patient in the beginning and spend some time figuring out what kinds of surveys work for you. And of course if there are sites where you never qualify, then go to other sites instead. There are plenty of good sites.